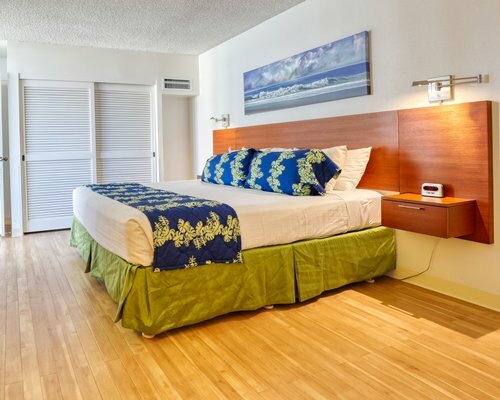 Royal Aloha Vacation Club/Waikiki offers its guests numerous on-site vacation amenities. These include a swimming pool, saunas, hot tubs, paddle tennis courts and a barbecue area. 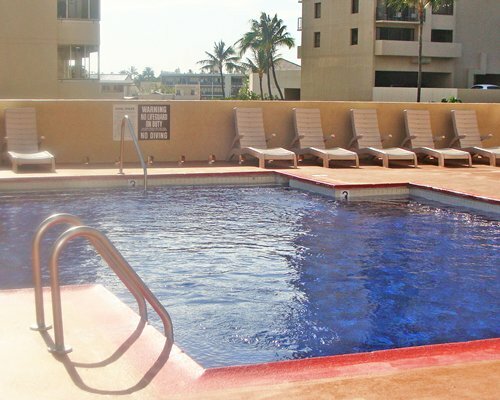 Laundry facilities and elevators are also available and the resort is handicapped-accessible. 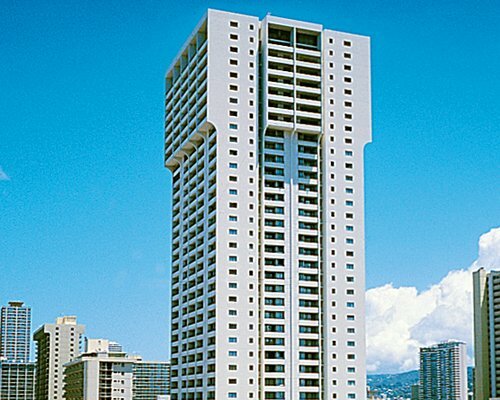 The resort consists of three condominium towers, all within walking distance of Waikiki Beach. 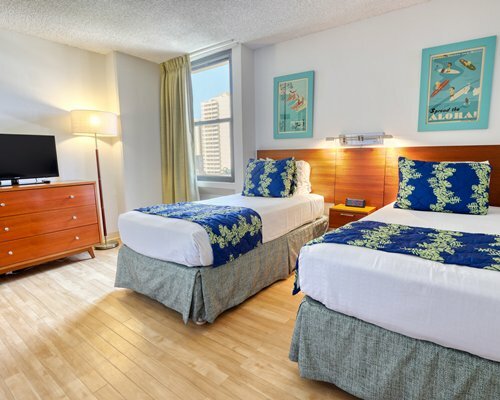 Along the beach you'll find not only a variety of restaurants featuring fine dining, fast foods, luaus and ethnic cuisine, but also exciting nightlife and world-class shopping. 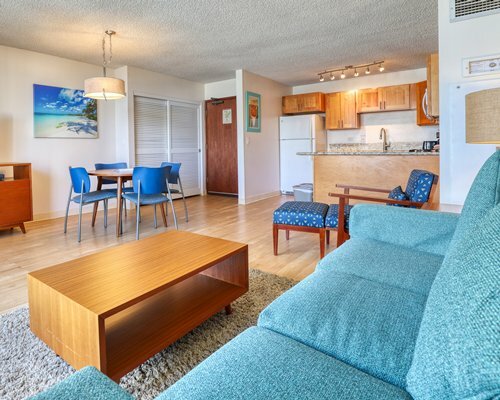 One- and two-bedroom condominiums at this resort sleep four to six people. 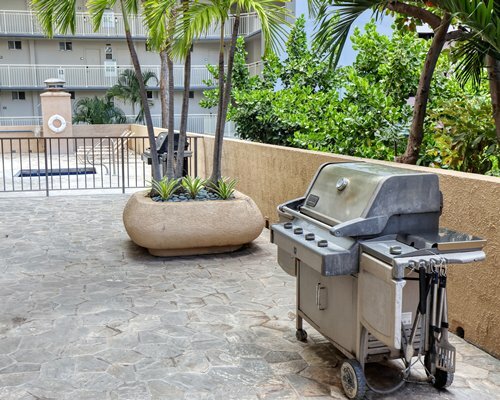 Each unit's features include a full kitchen with dishwasher and microwave; washer/dryer; air conditioning; telephone; color TV and VCR or DVD player; radio/alarm clock; iron and ironing board; hair dryer; and a balcony. 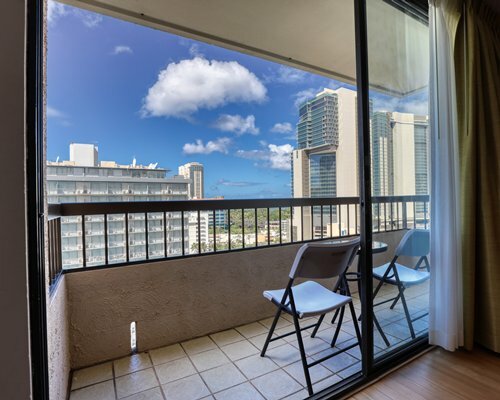 The nearest airport is Honolulu Airport, 10 miles away. Taxis and rental cars are available there. From the airport take the Freeway exit to Waikiki. It will lead you east onto Nimitz Hwy. 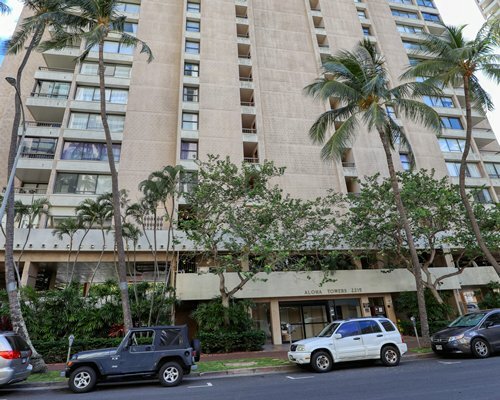 Near downtown Hono- lulu Nimitz Hwy becomes Ala Moana Blvd. 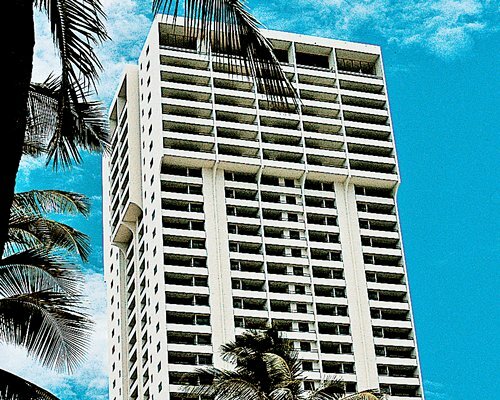 Continue on Ala Moana Blvd into Waikiki &amp; turn right onto Kalakaua Ave (near Fort De Russey). Continue on Kalakaua Ave, prepar- ing to turn left about a 1/2 mile down (it is a one way street). Turn left onto Sea- side Ave. Continue down Seaside about 1/4 mile, turning left onto Aloha Drive. 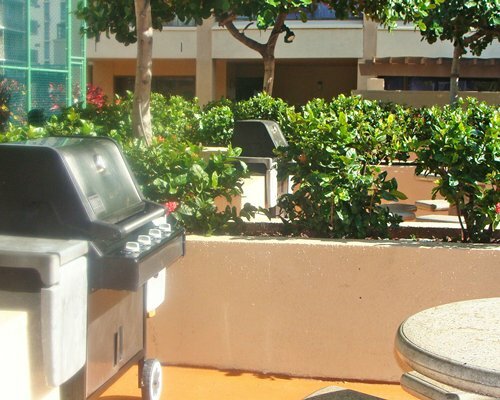 The Check-in office is located at 2224 Aloha Dr., the 2nd bldg on the right. Keep your transportation,as you will then be direct- ed to one of three buildings. Mandatory Utility surcharge is 35.00 to 45.00 U.S. dollars. Cash or Credit is accepted. 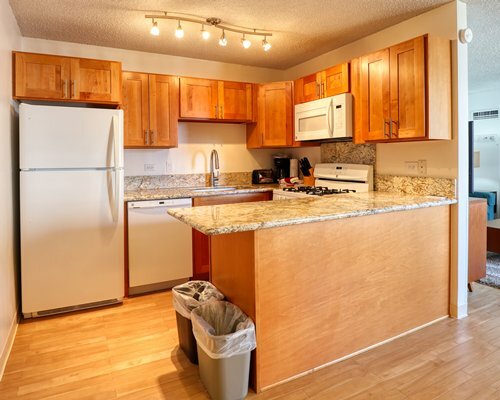 Utility Charge 35.00 for 1 bedroom and 45.00 for 2 bedroom. Parking fee is 55.00 U.S. dollars. Cash or Credit is accepted. Per week 55.00, or 15.00 per day. Goverment Tax fee is 39.00 to 47.00 U.S. dollars. Cash or Credit is accepted. 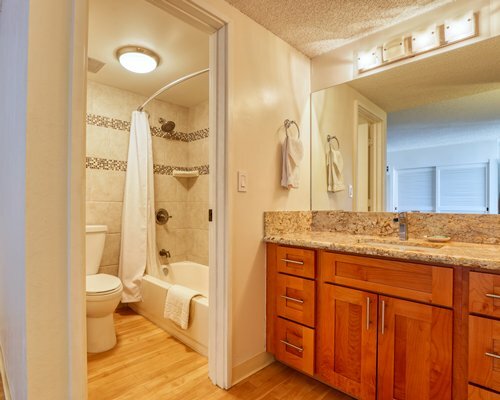 The tax is $39.00 for 1 bedroom and $47.00 for 2 bedroom. If arriving by taxi, guests should hold the cab until check-in is complete. 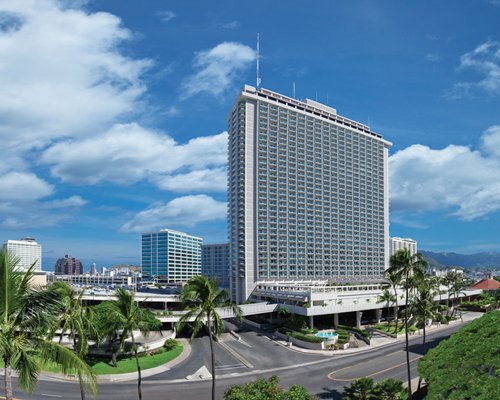 If arriving after check-in hours or confirming a reservation less than 48hours prior to check-in please call resort.